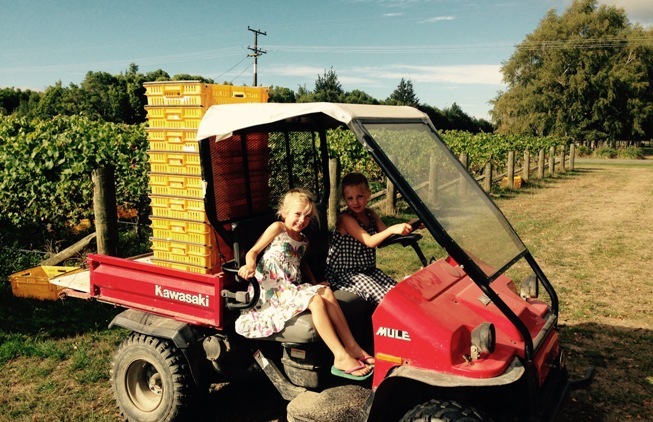 Walnut Block’s dedication to using organic growing methods not only is environmentally friendly but also allows the fruit to develop to its full potential, producing this unique Marlborough Pinot Noir. Planted in 2001 using top-quality Burgundy clones, the rewards of vine age and organic nurturing are seen in the wine, with deep, dark flavours and aromas a fine tannin structure and gentle acidity. The fruit is handpicked into small ‘yellow’ crates and chilled overnight to help protect the delicate flavours. Pippa and Ella putting out crates. The cold Pinot Noir grapes are de-stemmed and crushed into open-top fermenters, then fermented using natural yeast from the vineyard. The wine is pressed and transferred to French barriques for 9-12 months’ aging. 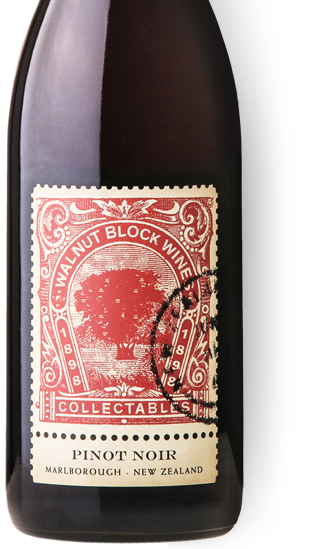 The Collectables Pinot Noir is a true handcrafted boutique wine that will cellar for 4-5 years but is perfect to drink now. “A funky label… texturally it’s a great wine, the right vibrancy of the fruit, enough oak and some pretty good acid… I really like it”. A lovely strawberry jam bouquet with a big lift of spice and similar characters echoed on the long, soft palate. A very enjoyable drink.